Trampolinist Erifilly Heonos who has been selected to represent Great Britain in an international competition in Portugal and who has her sights set on competing in the Youth Olympics next year. Uckfield-trained trampolinist Erifilly Heonos has been selected to represent Great Britain in a competition in Portugal in July. 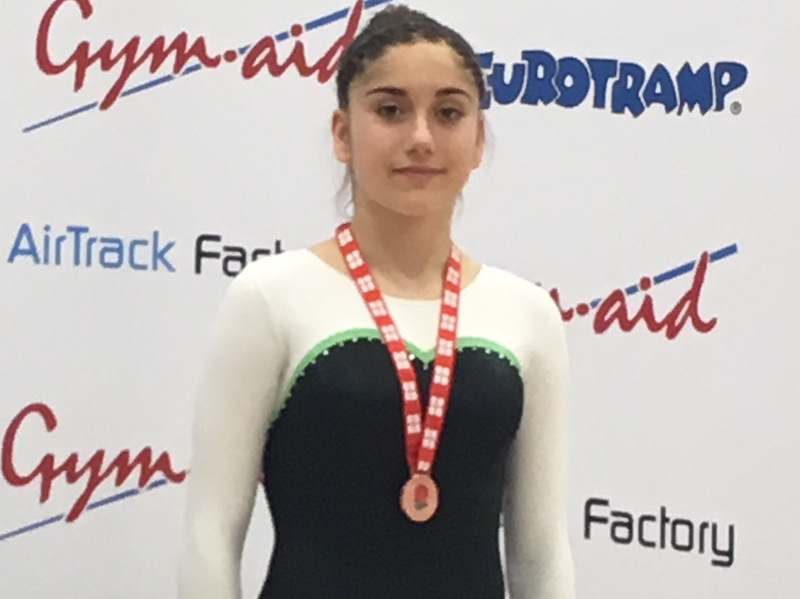 Erifilly, 15, who trains with the Sky High Trampoline & DMT Club, at Fun Abounds, on the Bellbrook Estate, has also qualified for the British Championships in September and is hoping to qualify there for the World Age Group Championships to be held in Sofia, Bulgaria, in November. In addition Erifilly, who lives in Lewes and is home-schooled, is also training towards the Youth Olympics in Argentina in 2018. Only one female and one male will be selected to compete from this country. Three girls, including Erifilly are in contention.